Monsoon has made good progress so far, making timely arrival at most regions in India. It has also been picking up pace recently. Let us pray that it gets better during the remaining season. However as responsible citizens, not only should we take adequate measures to help increase the rainfall, but also we need to take appropriate steps to avoid the ill effects of scanty rainfall. Sadguru Bapu has been inspiring and guiding us with various initiatives to find an effective solution to face these problems. Tree Plantation drive is one such measure undertaken by the Organisation. The large scale plantation of certain trees and shrubs prove to be a very effective remedy for deforestation, soil erosion, desertification and of course, global warming. Tree leaves also act as interceptors, catching falling rain which then evaporates causing rain precipitation elsewhere — a process known as evapo-transpiration. 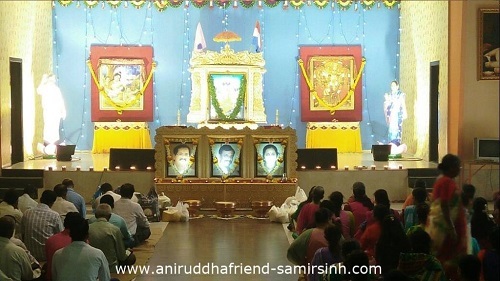 Shree Aniruddha Upasana Foundation alongwith its sister organisations viz. 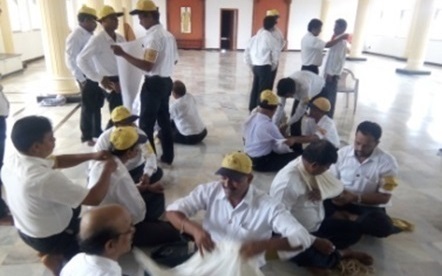 Aniruddha’s Academy of Disaster Management and Ahilya Sangh has been consistently organizing Tree Plantation drives through its volunteers thereby contributing to the society in its own way. It is an accepted fact that deforestation results in less rainfall. Therefore, mass plantation of trees is a very effective remedy for bringing effective rainfall and in preventing soil erosion, desertification and, of course, global warming. Under the guidance of Sadguru Aniruddha Bapu major initiatives have been launched and successfully implemented for tree plantation and its conservation. 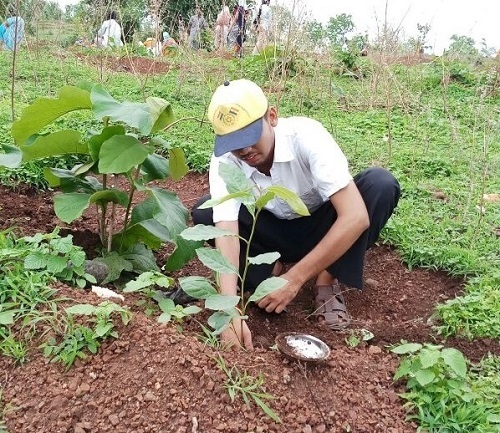 Aniruddha’s Academy of Disaster Management, Ahilya Sangh, and many other organisations affiliated to Shree Aniruddha Upasana Foundation have been carrying out mass tree plantation programmes at regular intervals which is a form of social forestry. Since every sincere and well-meaning step taken at the individual level does have repercussions at the collective level, the effort however modest, counts and must be made. The large scale plantation of certain trees and shrubs can prove to be a very effective remedy for deforestation, soil erosion, desertification and global warming. The oxygen that the trees breathe out is our basic vital need and the carbon dioxide that they breathe in is a major contributor to reduce global warming. They give us exactly what we need and absorb exactly what harms us. They are our source of food and air. 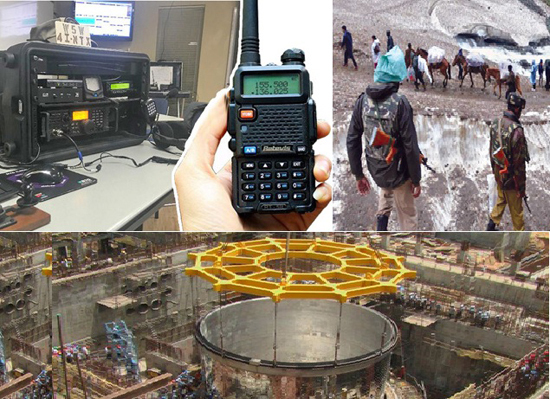 They assure us of rain and so they take care of all vital needs that support human life. If trees assure us of all these benefits is it not obvious that mindless felling of trees means a shortage or an eventual deprivation of these? Sadguru Bapu has also urged every Shraddhavan to plant and conserve atleast one tree in his lifetime. Even a small step taken at the individual level does have repercussions at social and national level. Accordingly Sadguru Bapu has guided all the Shraddhavans urging and making them understand that “every ‘plant’ cultivated in the space available – be it a pot in our window sill, is equally important”. Accordingly, Tulsi (Indian Basil), Rose, Mogra, Ginger, Curry Leaf plant and Zipri plants are being planted by Shraddhavans at their residences. 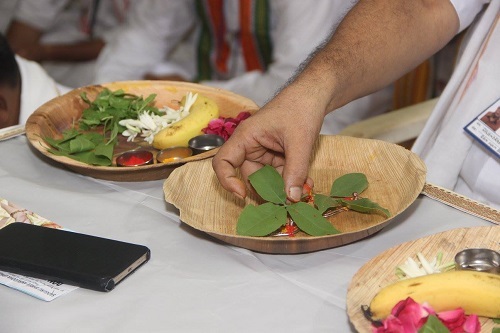 To demonstrate this and drive home a point that these plantations can also be carried in even the smallest possible area, a small garden has been cultivated by Bapu himself at his residence. It is indeed a matter of great pride for us that with the encouragement and guidance of Bapu more than 3,00,000 saplings have been planted till date in several parts of the country under the auspices of our Organisation with initiative being taken in particular by the various Upasana Centres, as also by Aniruddha’s Academy of Disaster Management and Ahilya Sangh. It is further heartening to know that the success rate of trees planted by us is 75%. We must continue to maintain the momentum and, in the process, also try to create and spread the awareness regarding the importance of afforestation amongst the people at large. 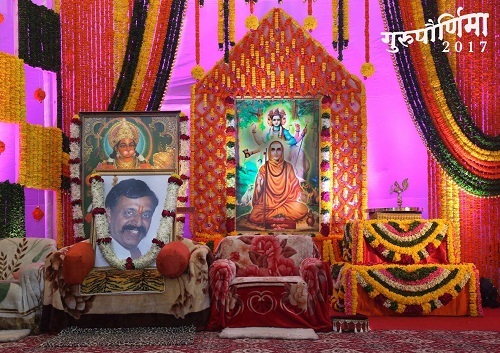 Gurupournima a special day for all the devotees was celebrated in a very pious atmosphere at Shree Harigurugram, Bandra on Saturday, 8th July 2017. 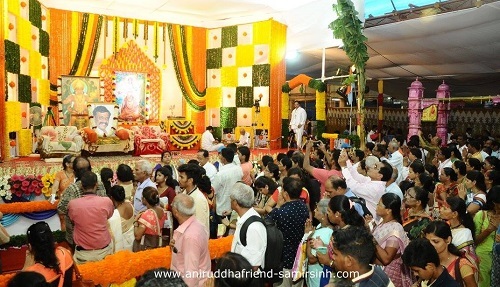 Devotees who had turned up in large numbers to seek the blessings of Sadguru Bapu, were seen participating in various events on this auspicious day. 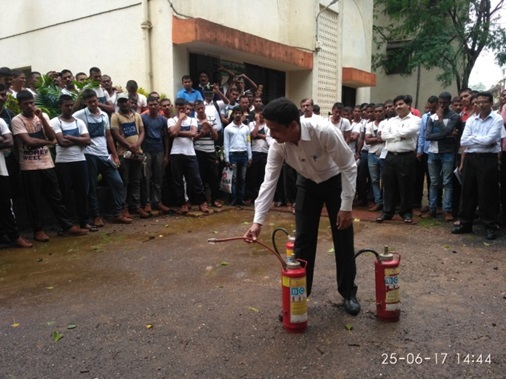 AADM Rescue Refresher Courses were conducted at 6 locations during June 2017. On the request from Police Training Centre, Marol, AADM Corporate Course was conducted for Maharashtra Suraksha Dal candidates at Police Training Center, Marol on 24th and 25th June 2017. 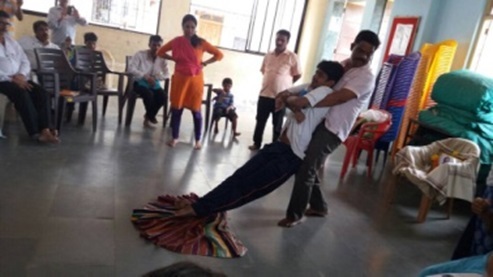 Total 8 classes were conducted for 400 Maharashtra Suraksha Dal candidates. Since 2003, Sadguru Shree aniruddha Upasana Trust arranges Ghorkashtodharan Stotra Pathan (chanting) during the entire month of Shraavan. 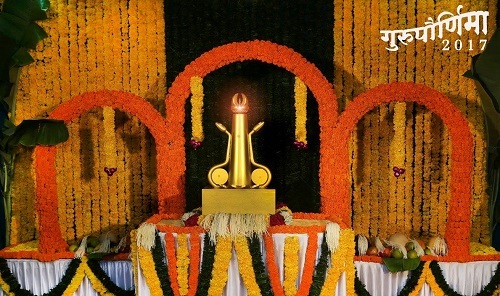 In each session the Stotra is chanted 108 times. 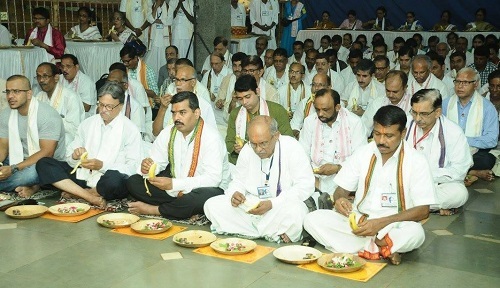 A large number of Shraddhavans who participate in the chanting also donate rice, pulses etc. 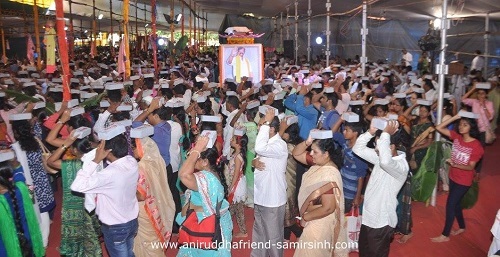 which is then used for “Annapurna Prasadam Yojana” that feeds needy under Sadguru Shree Aniruddha Bapu’s 13 point programme. 1. 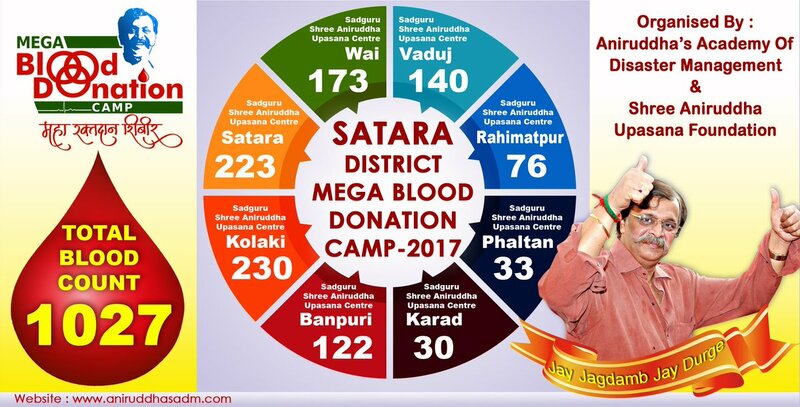 Congratulations to all participating DMVs & Centres of Aniruddha’s Academy of Disaster Management, Satara for collecting 1027 blood units. 2. Our Shraddhavan friend, Shri. 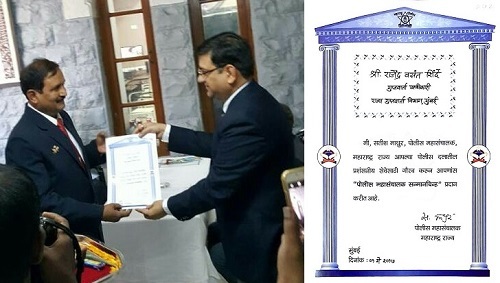 Rajendrasinh Shinde, has been honoured for his commendable and meritorious police service by Shri. Satish Mathur, Director General of Police, Maharashtra. Many Congratulations to Rajendrasinh and best wishes for his future.